Picture Points: What’d I Miss? Well, I’m back from my vacation/honeymoon, which was spent cruising on the Oasis of the Seas in the Eastern Caribbean. My right shoulder is a little sunburned and I feel about a hundred pounds heavier (man, they really feed you on those things) but otherwise my time away from the real world and the virtual world has left me feeling quite rested. As honeymooners are wont to do, my better half and I closed ourselves off from the outside world and shunned our cellphones, internet, and all other means of communication with the world at large. As such, I came back to hundreds of unread emails and messages, and a mountain of blog articles in Google Reader. Looks like a lot has happened in the last week, but how nice it is that none of my favorite games seem to have imploded or went under while I was gone. Hey, with this industry, you never know. Gee, where do I start? More and more, I’m starting to appreciate the wisdom behind Anjin’s use of bullet points, especially when you’re tackling multiple topics in the same post that are all completely irrelevant of each other. How’s about some picture points? This topic really doesn’t deserve to be tackled first, but I’ll do it anyway because if anything, I felt it was the most entertaining tidbit of my day. Yet another long, whiny rant to add to the ever-growing pile of other long, whiny rants. The more I read about it, the more it seems the only reason this one caught fire was because the author alleges himself to be a soon-to-be Ex-Mythic employee. Even if he could prove his claim, I could care less why he thinks Warhammer failed, but along with Syp, what amuses me most (because such drivel is hardly worth getting angry or even annoyed over) is the way the guy tries to smear Star Wars: The Old Republic by dragging it into his bitchfest born of a feeble grudge. 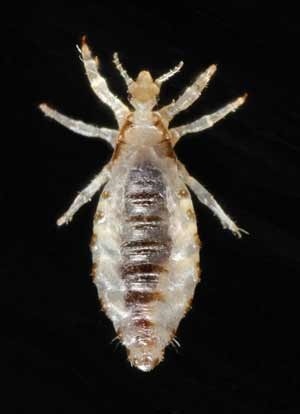 Shoo, louse, I had to deal with a flea infestation on my dog earlier this month that commanded more attention. I’m not worried; SWTOR has survived the storm of naysayers for years, no doubt it can weather another angry little gust of hot air. Something else that a lot of the blogs I read covered this week was the World of Warcraft Patch 4.0.1. I haven’t updated the game yet or even looked at the notes, but just based on some of the opinions I’ve read, I am prepared for some big changes. You mean I have to relearn the game agaaaaaiiin? /whine. I have so many characters, many of them at level 80, I just can’t be bothered to go through all of them and give their abilities and gear their makeovers, not even my feral druid that has been my main for years. 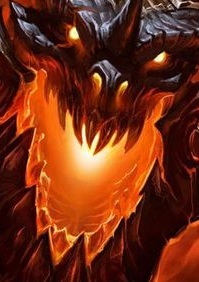 The more I hear about Cataclysm, the more I think I just want to dabble lightly in WoW until it comes out, then pour my full attention into a new Worgen or Goblin character. To hell with the rest of ’em. I mean, with a fresh expansion, a fresh Azeroth, fresh game systems and mechanics, why not a fresh main? My husband probably won’t be too happy to hear that, but the idea appeals to me more and more each day. 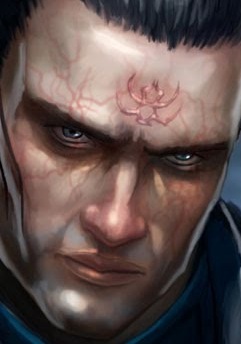 SWTOR released a new timeline video about Exar Kun for their new Friday update. To be honest, I was never really interested in that particular storyline, but I enjoyed the video, nonetheless (and things are so much more exciting when they’re narrated by Lance Henriksen, aren’t they?) As such, my leaky memory has shed most of the details about the fall of Exar Kun, so the timeline was a nice refresher even if it didn’t reveal much of anything new. In any case, it’s worth a look if you haven’t read the books, comics, or played the Knights of the Old Republic games that deal with Exar Kun, to get acquainted with one of the more relevant storylines of this era. One thing of note (that I’m surprised Hunter hasn’t mentioned since he has as much at stake in planet reveals as I do) is I wonder if we’ll be seeing the moon Yavin IV unveiled some time soon in a future update? It seems almost a certainty, given this timeline video. So much to do! I can hardly wait to visit the Minecraft multiplayer server to see what new construction projects have popped up in the last week, but first I have business with the Devidians to attend to in Star Trek Online. The new arc debuted yesterday and I have plans to savor it tonight with a hot cup of Earl Grey tea and a bowl of chips. Until then, I’m staying far far far away from West Karana and Tipa’s spoilers. Well, vacation’s over and it’s back to the drawing board (or should I say, the Wacom tablet, now that I’ve started my adventures into digital art?) but I’m not sure how much work I’ll be able to get done for the rest of this month. It’s the attack of the single-player games! 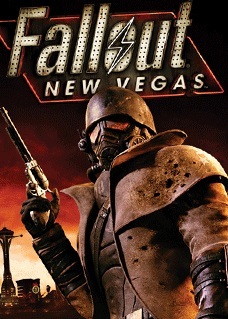 Oct 19th — Fallout: New Vegas. Oct 26th — Fable III. Oh, and don’t forget, on the same day we have Force Unleashed 2, as Blue Kae reminded me on Twitter earlier today. Gee, thanks. Thanks a lot. It’s going to take incredible willpower to get anything productive done in the next couple of weeks. Gotta love it when the release dates for highly anticipated games just sneak up on you like that, but it’s a whole other conflict when they all descend upon you at once like an avalanche. Finally, on a non-gaming-related note, I’ve recently become completely obsessed with George R. R. Martin’s A Song of Ice and Fire series. My interest in epic fantasy has been rekindled after reading The Way of Kings by Brandon Sanderson, and I brought the first novel A Game of Thrones with me on my vacation. I’d originally wanted to start another novel or series after finishing it, just to spread out the titles in my to-read list a little bit, but who was I kidding? I began devouring the second book A Clash of Kings the moment I finished the final page of the first. I’m surprised I hadn’t picked this series up sooner, and even more surprised that my husband never recommended it to me, since I just found out he had read it years before. Dammit, he knows I like my epic fantasy dark and gritty. What’s even stranger is that a certain promo on HBO featuring snowy landscapes, ravens and scruffy men with swords and beards has caught my eye for weeks and weeks now, but it wasn’t until earlier this month that I realized it was the television adaptation, around the same time I started debating whether or not to start reading the series. Funny how these things work out, and funnier how unobservant my mind can be sometimes. a few people have been busy in minecraft, plenty to see. i had actually thought of yavin, but i had also been thinking of Onderon, and Ossus as likely locations and was considering putting together a post on the subject, perhaps including kashykk since i think you changed my mind on the planet. Yavin IV seems to be a sure bet because of the temple there, and I’m guessing any quest or story to do with Exar Kun would have to include that place, which is the rationale behind my prediction. I’m still hoping for Kashyyyk as well, I think Bioware would make a gorgeous place out of that planet. I so agree with you about having to relearn everyting on Wow. I just re-subbed Friday after many months off. It’s so different again. My hunter was a big mess. WoW was so off my radar, I wasn’t remotely prepared to respec. All this focus junk, no aspect of beast yada yada. My pets were missing and it gave me a heart attack until I realized I had to relearn some pet spell to get them again. I haven’t even looked at my other toons since it requires so much research again. The only nice surprise was a new built in GRID thing in bg’s. One less addon now. I still haven’t logged in to check my characters. I know people are excited and I’m trying to be as well, but I can’t help seeing it all as more of a chore 😛 If I have to re-work everything, I figure I might as well wait until I play Cataclysm to do it when I’m going to be picking up new gear and abilities anyway. I adore George RR Martin and it’s hard for me to read any fantasy since discovering him. His bleak, harsh take on the fantasy genre is so much more compelling than the happy, skippy, super chummy elf stories that plague it. Oh my… what a wonderful series! Until… you hit book 4 (a feast for crows) and have no idea what happens. if you enjoyed The Way of Kings (what a great book damn it!!) i recommend the mistborn series of sanderson. Haha, I’m definitely torn. On the one hand, I can’t wait to read all these books, on the other, I don’t want it to end! Waiting to know what happens is always painful. I’ve actually read some of the Mistborn trilogy. I didn’t really get into the first book, not the same way I got into TWoK. TWoK was just so engrossing, I couldn’t put it down, especially towards the end. I really should take my Minecraft online into a server. Being alone in the world with zombies is lonely. If you’re interested, you should join us! Blue Kae’s server is awesome! Agree fully, it is sad as I know I’m waving goodbye to my army of alts but on the other hand it might just lead me back to raiding etc and actually push a toon to its maximum potential. But yeah until Cataclysm finally lands I’m very much just having fun on my low level death knight . If I get him to 80 great if not I cant say I’ll be too bothered. I have a pretty big army of alts myself, a result of all the times I’ve been bored with WoW endgame and decided to level another character. I don’t know how some people can maintain all their alts, I find myself already spread too thin at two, and can’t imagine being able to manage much more than that. You should have no problem playing a new Worgen or Goblin when he’s busy and work on your druid or something when he’s around to play. 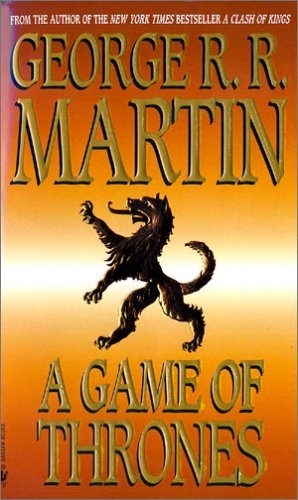 In re: to a Song of Ice and Fire… The HBO miniseries starts Spring 2011 and it’s going to be HUGE. I can’t wait. Great series. Speaking of sheep, no more shards for Warlocks YAY! Yeah, I’m getting more and more excited about the HBO series. I was already interested before I found out they were based on the novels, and now that I’m actually reading them, I’m just about bursting with anticipation for spring 2011. I bought into it not because of being a sheeple but because I a friend of mine worked at EA. His take on EA’s internal structure matches EALouse’s. I know most other people don’t have the benefit of multiple sources on the inside. Nor does this count as it is third hand. But to say people bought into it because they are sheep and/or that what he says t’ain’t true without first hand knowledge is to claim knowledge where one does not have such knowledge. You are right about WoW. It feels like I’m learning a new game. So very strange. And I’m almost sorry you got into ASoIaF. Enjoy them while you can because, pretty soon, you’re going to run into the same brick wall the rest of us have been butting against for the last couple years. At least it sounds like GRRM is finally wrapping up the last book. PS: I’ve been putting some life back in Walk the Plank for those of us who just want to experience WoW anew or mess around. Haha, sure, I’ll be checking in from time to time. EAlouse probably is an employee of Mythic, because most of what he said has been confirmed by people who work/worked within EA. That said, he came out and admitted that everything he said regarding SWTOR was just anger, and not at all based on any knowledge, whatsoever, about the game. Another Mythic employee came on and explained that Mythic’s involvement is LITERALLY 15 people – across all departments. They are being used only as a backup to the main BioWare team in Austin. Furthermore, Mythic doesn’t even have beta access to the game, except for a few select people. Anyone who demoed the game at Gamescom or PAX has probably played the game more than anyone at Mythic has. Everything EAlouse said about SWTOR should be thrown out the window; what he knows about the game is likely third or fourth hand, and even that may have changed, since BioWare admitted at PAX that the build that was demoable there has already been superceded by a new build at their Austin hq. As far as Cataclysm is concerned, I’m still debating heavily on what to do. I have two 80’s that I loved, but my favorite DK spec is now the tanking tree (Blood). The DRASTICALLY reduced crit percentage also concerns me – because my main is a rogue, specced into Assassination, which means crit was my bread & butter. Burst damage is all an Assassin in WoW does – crit was like the Assassin rogue’s gasoline fuel. I just don’t know…One of my friends is still heavy into the game, but the others have drifted away and are now waiting for SWTOR. As time goes on, I’m thinking I might wait a month after Cataclysm drops to hear what people think. The questing from 1-to-80 is supposed to be much more pleasant than it was before, but neither the Goblins or the Worgens really tantalize me. I’d probably just level up a Blood Elf Warrior from 1-to-80, since that race/class restriction is supposed to be lifted. Like I said, I’ll probably wait to buy the game until I hear the feedback. The SWTOR Friday update was pretty sweet. (I agree that Lance Henriksen’s narration gives something to the video.) Even though I never read the Exar Kun-focused EU books, what drew me in, were the inferences made in the timeline vid. This update pretty much confirms that Yavin IV will be in the game. Even so, I’ll still be excited when it is confirmed. Certainty is more satisfying than speculation. I know some people will QQ that we saw it coming, but I will still be glad to see that I can file it away as concrete info. I expect Geonosis to be unveiled before launch. It is another planet that has been mentioned fairly frequently in the timelines and such. 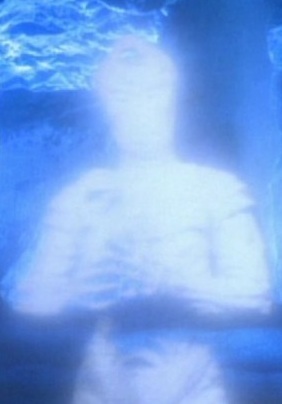 As far as my own personal wish, I hope to see Manaan in there. For that matter, I still hope to see Nautolans in the game. Too bad that everyone will only remember the bad things he said about SWTOR, and not the addendum about how he was angry when he said it. I didn’t think any of his rant was based on any knowledge of the game, since his criticisms weren’t very constructive or based on anything concrete. It was definitely iffy to begin with, and if he indeed works for EA, how horrible it is to use his position to drag SWTOR down like this into his angry rant. That’s just petty. And sadly, I think many people thought him an authority on the subject. As for WoW, I wanted to log in just to check out my druid, but I realized I wouldn’t even know what I’d do with her. I don’t want to do any of the endgame, I have no interest in trying out her abilities or rework a new build when a new patch will probably come out again very soon to fix imbalanced…I don’t want to start a new character either, when I’ll be doing that when Cataclysm comes out. I’m just at a complete loss as to what to do with WoW. I’m 99% sure Yavin IV will be in the game. I’m still hoping for Kashyyyk, but Geonosis would be awesome too. Manaan would be great, since we don’t have a water world yet and I can see the BioWare Austin team doing some really cool things with that place. Sadly, you are correct. It is just like court cases in real life. Even if someone is accused of something and is later found innocent, his/her reputation is not likely to ever recover from the original accusation. In the end, I think SWTOR will recover from this one. There are enough people that know his rants were baseless, and luckily, some of those people have podcasts and such where they can inform other fans of the game. I’m just glad his comments were debunked, sooner rather than later. I can see where you are coming from on WoW. The game is really in a sort of transitory state, at the moment; it could change a phenomenally large amount, just in the amount of time it takes to implement a patch. That is the main reason why I just can’t bring myself to spend money on renewing my sub. I don’t want to toss money at the game when I am uncertain what will or will not be there from week to week, as far as powers are concerned. I think I will just wait until the shifting stops, and the game finds a little equilibrium. Then I will decide whether or not I see a future for myself in WoW. Funny enough, SWTOR may play a huge role in deciding my future in WoW. As a lore hound, I grow more enchanted with that story than I ever have for an MMO. Kashyyyk would be a good planet to bring in, seeing as how the Smugglers get a Wookiee companion. I also like jungle areas, and the music associated with said areas (lots of tribal drum beats, pan pipes – good stuff). I do agree that an ocean world would add some new flavors to the game, since BioWare has not touched them, yet. BioWare did a phenonemal job with Manaan & Ahto City in KoTOR, and I imagine that they would be more than capable of finding a story reason why our characters would need to go back to the planet.